Germany, France and Italy have agreed to start a European drone program aimed at reducing reliance on US and Israeli technology. The first EU-tailored drone is expected to be operating by 2025. "It's a very important step for European cooperation, a critical cooperation which we must have at our disposal in many theaters of operation," French Defense Minister Jean-Yves Le Drian said at a joint signing ceremony alongside his German and Italian counterparts. The three EU states decided to cooperate on a joint project to build an unmanned aerial vehicle (UAV) in 2013. On Monday, they agreed to a two-year technical assessment to lay the basis for a European drone, which is scheduled to be operating in 10 years. According to German Defense Minister Ursula von der Leyen, this EU drone project “makes us, the Europeans, independent." "The goal of the Euro-drone is that we can decide by ourselves in Europe on where we deploy the Euro-drone and how we use it," she said. Poland and Spain have also expressed interest in the plan, officials said. The aim of the joint project between Paris, Berlin and Rome is to create a medium-altitude, long-endurance (MALE) drone, which can fly at an altitude of up to 9,000 meters for as long as for 24 hours. It will be able to carry a "variety of payloads," said a statement that appeared after the signing, as cited by AFP. The vehicle may be used for both civilian requirements like border control, fire-fighting and disaster monitoring, and for military purposes. The drones will probably be developed by Airbus, France-based Dassault and Italian Alenia Aermacchi. The aerospace companies welcomed the agreement of three countries. “This important step by industry and government clearly recognizes that sovereignty in the development of new systems, and specifically in military reconnaissance and unmanned aviation is of strategic importance for European security,” Bernhard Gerwert, CEO of Airbus Defence and Space, said. According to Eric Trappier, CEO of Dassault Aviation: “European countries must develop a sovereign, Next-Generation MALE UAS solution, for both military and security missions, which is required by our armed forces." "The next generation MALE UAS represents a step change for the European defense and security agenda. This initiative is a unique opportunity to pursue a joint technological path built on proven industrial leaderships all contributing to a single objective," Mauro Moretti, Finmeccanica CEO, said. European armed forces now mostly operate large drones based on foreign technology. 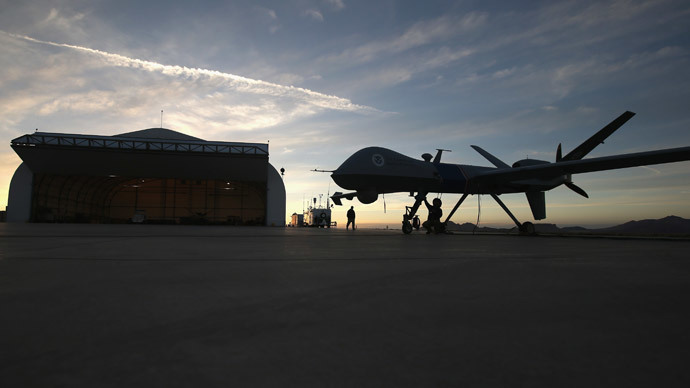 The UK, Italy and France use US-built Reaper drones, designed for long-endurance, high-altitude surveillance. Germany and France use Israeli-made aircraft.